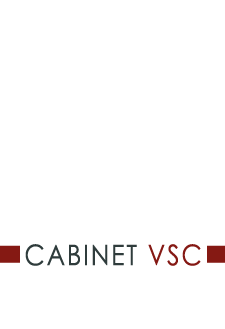 Cabinet VSC is located in the heart of Paris 16th arrondissement and was founded by Rodolfo Viera Santa Cruz in 2006. We are a dynamic and passionate team, with a goal of efficiency and transparency towards our clients. Our philosophy is to permanently build a trustworthy relationship with our clients, by being available and listening to their needs. We are committed to stay by your side, so as to help you moving forward with your plans with creativity and ensuring legal certainty, and with a constant research of quality. We can advise you, help you in drafting your contracts, assist you during negotiations and be your representative before court in all areas: corporate and tax law, commercial law, family law and property law. We help you making the right decisions, both in your private and professional life. We also have a solid experience in litigation and judicial practice and have built our reputation on the personalized advice we give and our strong implication towards our clients. Based on our experience and whenever possible, we try to negotiate and find an amiable settlement, always searching for the utmost legal certainty of the solutions we propose.